Learn how to cook beets with four easy methods like steam, boil, and two ways to roast them. 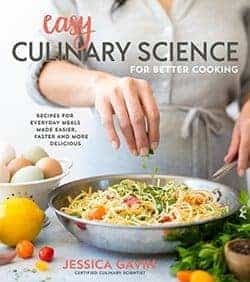 Healthy dishes can be created using this incredible ingredient and I’m going to cover the basic techniques to maximize flavor. I wasn’t always a fan of beets until I learned how to cook them properly. My first experience with this root vegetable was from a can, an incredibly underwhelming experience. When I finally had my first taste of fresh and properly prepared beets, I realized that this root vegetable is delicious! This earthy, and yet sweet ingredient is unique in that almost the entire beet, from the roots, stems, and leaves are edible. 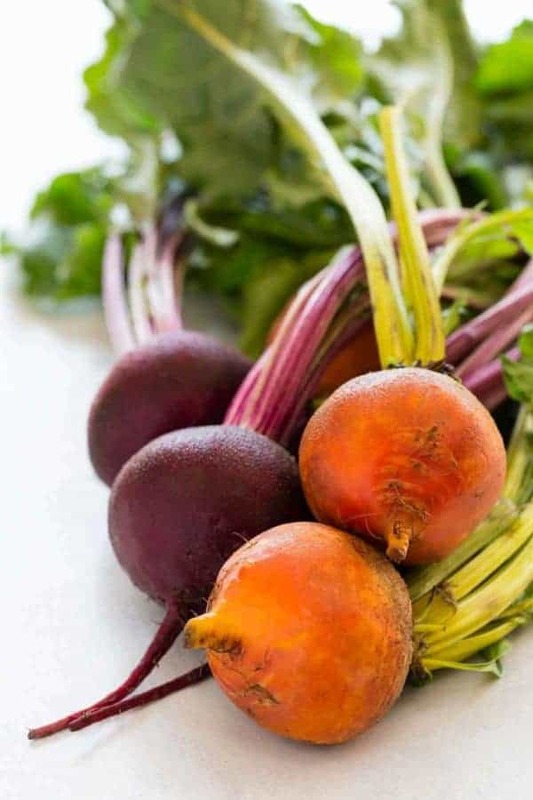 The root bulb is most often consumed, while the red beet and golden beets are easiest to find at the market. The nutritional benefits are extraordinary, especially from B vitamins, minerals and fiber found in the bulb. They are also loaded with nitrates which help to lower blood pressure and boost endurance performance for athletes. Don’t forget to eat the beet greens! The dark leafy greens are high in calcium, vitamins, and iron. Now that you know that beets are not only tasty but pack a healthy punch too, let’s learn how to cook them with this step-by-step guide. Boiling tenderizes the beets by submerging the vegetable in hot water and cook until tender. You may notice that for red beets the color leaks into the cooking liquid. Some methods suggest to keep at least 2 inches of the stem intact, and adding vinegar to the water to prevent this from occurring. I tried doing both, and although I did not see it entirely preventing color seepage, it was minimized. Cooking the beets with the peel on is the most effective way to reduce the loss of pigment. This method takes about 30 minutes, depending on the size. Steaming involves heating the water in a closed vessel until it becomes superheated vapor. The high temperature 100 °C (212 °F) and pressure in the pot allow the beets to cook with ease using minimal water. I like this method because the nutrients stay in the vegetable, and not get lost in the water. 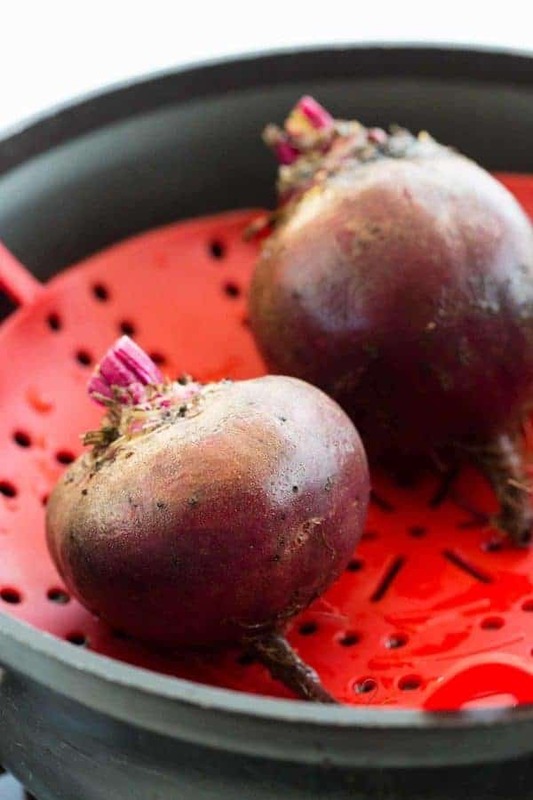 Do not allow the water to touch the steamer basket because you want the steam to be able to circulate under and around the beets as it cooks. The beets should be cooked until tender, and the skin easily releases from the peel, about 30 minutes depending on the size. 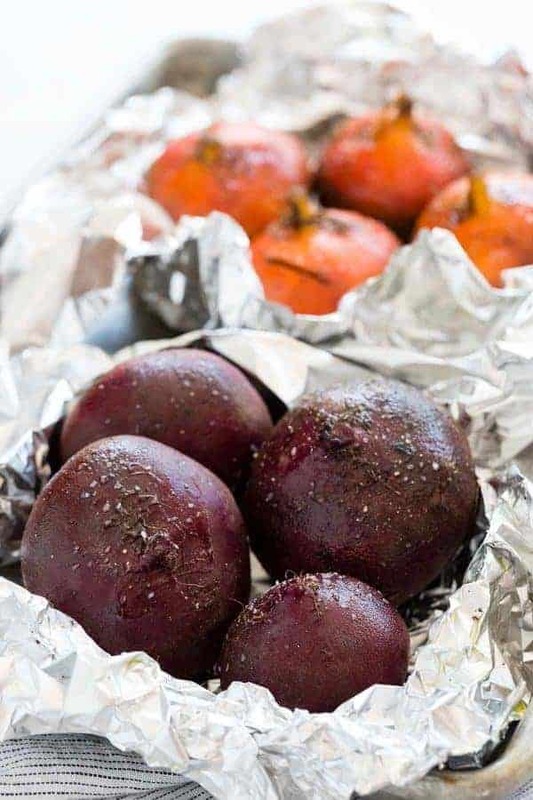 The whole roast method involves coating the beets skin with olive oil, salt, and pepper, then wrapping them in foil pouches. This technique allows you to infuse more flavors on the surface and creates more vibrant flavor characteristics. This method takes about 40 to 60 minutes at a high temperature of 204°C (400°F) and requires more peeking and checking of the beets to test for doneness. 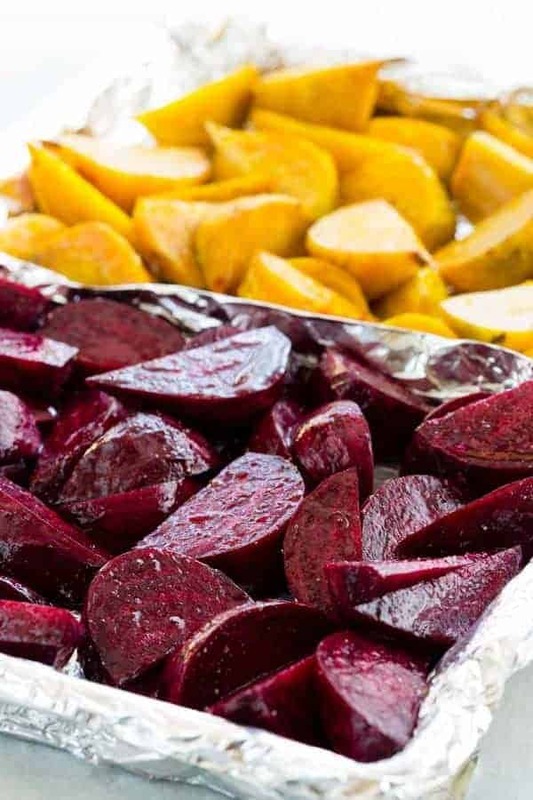 If you’re looking for a quicker roasting method that adds the most flavor, peeling and cutting the beets into 1/2 to 3/4-inch wedges is the way to go. The high temperatures in the oven at 204°C (400°F) encourages Maillard browning, creating deeper flavors for each slice. If you’re cooking red and yellow beets, as shown above, I like to section off the vegetables with aluminum foil as a divider on the baking sheet. Because the beets are peeled, the red beets will lose some of its juice as it cooks; the foil partition will prevent the other vegetables from staining. This method takes about 25 to 30 minutes. The reason the skin is left on the whole beets is that it makes it easier for peeling. 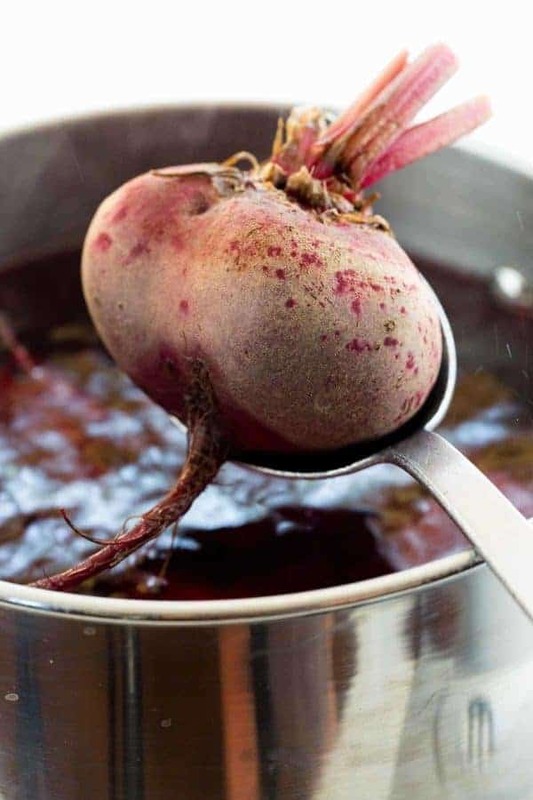 Once the beets are cooked by steam, boil, or roast, and cool enough to handle, the peel can be removed using a paper towel to wipe the skin off. 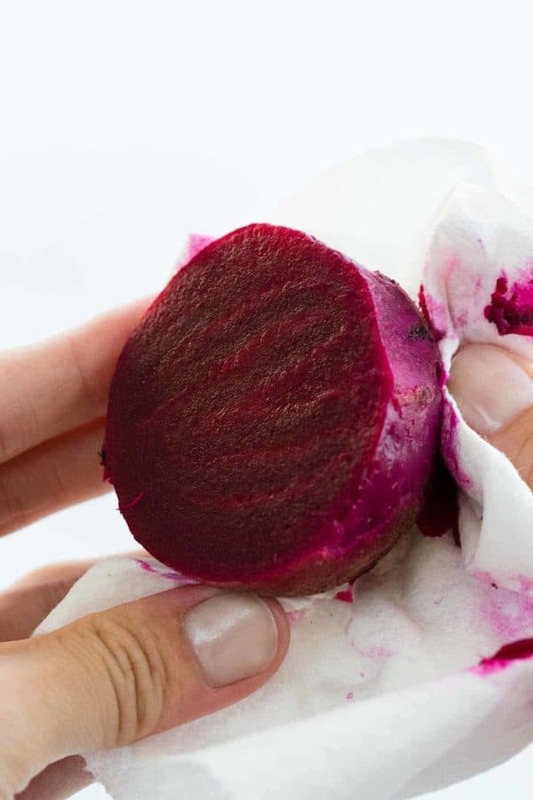 By cradling the beet in a paper towel, the skin can be gently rubbed off, reducing the stains on hands and towels. If you do get the inevitable stain on a cutting board, scrub salt on the surface before washing to help lift the pigment. The nutritious beet greens are often discarded when they should be saved and eaten. They have a slight bitterness, similar to kale or collard greens. 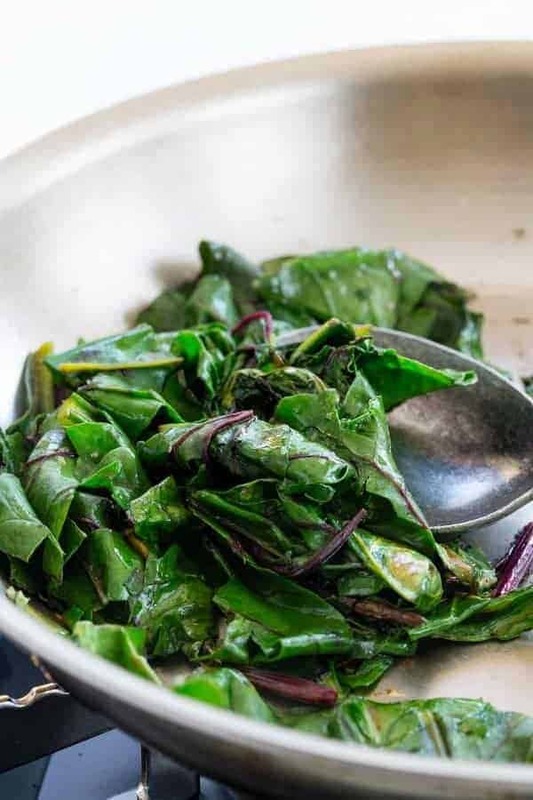 The hearty greens are perfect for sauteeing with a little bit of oil and seasonings, making for a healthy side dish! Now that you know easy ways to prepare and cook beets, it’s time to add them to a meal! Don’t forget that beets eaten raw are crisp and sweet, and can also be pressed for its juice. No matter how you like them, they can be enjoyed in so many versatile ways! Learn how to cook beets with four easy methods like steam, boil, and roast. Healthy dishes can be created using these basic techniques to maximize flavor. Trim the tops off the beets, leaving 2 inches of the stem. Wash and dry beets. Trim the tops off the beets. Wash and srub dirt from the beets and dry well. Add enough water to the bottom of a pot so that it does not rise above the steamer basket. Add basket and beets into the pot. Cover and cook on high, water should be steaming. Steam until beets are fork tender, about 30 minutes. Allow beets to cool and peel. Beets can also be peeled before steaming if desired. Set the oven rack in the center position. Preheat oven to 400°F. Trim the tops off the beets, leaving 1/2 inch of the stem. Wash and scrub dirt from the beets and dry well. Roast the beets until fork tender, about 40 to 60 minutes, time will vary depending on the size of the beets. Check every 20 minutes for doneness. Allow beets to cool and peel. Wash and peel beets. Cut into 1/2 to 3/4 inch thick wedges. In a medium-sized bowl toss together the beets, olive oil, salt, and pepper. Place on a foil-lined sheet pan. Roast until beets are fork tender, about 25 to 30 minutes. Good afternoon Jessica and a Merry Christmas and a Happy and Healthy New year to you and yours. I’d like to take this opportunity to let you know how much I enjoy your Newsletter and the practical tips that you include. In regard to cooking Beets, I usually use a pressure cooker which is efficient in dramatic reduction of time compared to the other methods. Beets cooked by this method are usually prepared as a salad with garlic, balsamic vinegar, olive oil and a tiny splash of lemon to balance the sweetness. Cheers and God Bless. Happy holidays Bernard! Thank you for your feedback, I’m so happy I can help you in the kitchen. Great suggestion for pressure cooking beets! I just got an electric pressure cooker so I will have to try it. How long do you cook them for? Great info Jessica….. one of my favourite veggies. Only ever roasted, now I can do more ways. Thank you Jennifer! I love beets too. Can’t wait to hear more ways you try cooking with beets! I love beets so thanks for all the information. I will have to try something besides boiling. Unfortunately, I’m the only one in my family who likes beets. My question is about eating them raw; if scrubbed well can you eat the peel like an apple? You’re Welcome Mickey! Great questions about the beet skin. Eating the well-washed beet skin will provide an extra boost of fiber. Perhaps select smaller beets as their skins will be thinner and more tender. Happy new year Patricia! I’m so happy to hear that you will be cooking my recipes soon 🙂 Any help that I can give I love to help my readers. Enjoy the beetroot and greens when you can! #5: Crockpot! I often make baked potatoes in the crockpot so thought, Why not beets? I wrap the clean (need not be peeled) beets and bake overnight on low. The tough outside skin comes right off. They don’t have that wonderful caramelized exterior the way that roasted beets do, but sometimes convenience wins! This is a great suggestion Margaret! I can’t wait to try this method and add it to the list, genius! Thank you so much. I didn’t have a clue besides roasting them. I am older and need this in my diet. So glad I can finally cook these lovelies on my own. Hello, Jessica! Thanks for the tips on beets. I found some on sale at a local market. I love beets but didn’t know what to do with them, until I found your site. I’ve cooked up nine of them in a large rice cooker and I already enjoyed one as part of my supper. I’ll let the others cool and put them in the refrigerator to enjoy in the days ahead. Your way of cooking is perfect, all the ways you printed. If you want color, always leave the skin on, and so easy to come off. Thank you so much for advice on cooking beets! I’m going to be 65 next week and have never enjoyed fresh beets until last month! I absolutely love them and will NEVER eat them from a can again! Thank you for sharing how to prepare them. Happy autumn! You are SO welcome Rolanda. Yes, now you can skip the can and enjoy them fresh. Happy cooking! I used the steamer method. Absolutely perfect! Thanks, this is the easiest recipe for beets I’ve seen. My child loves canned beets, I want to transition to boiled beets but the strong earthy taste he doesn’t like, how do you diminish that taste w/o seasonings (he won’t eat it seasoned. 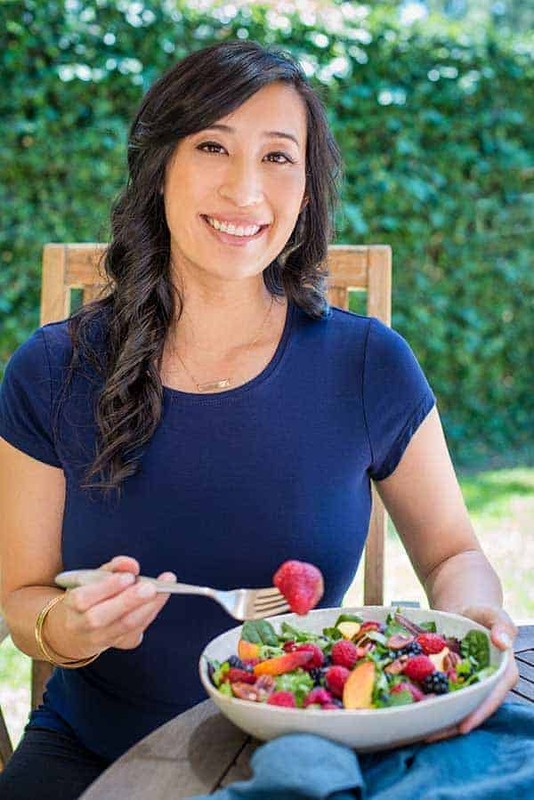 Hi Lulu- I read that you could balance the earthy flavor by boiling the beets with salted water and a 1/4 cup of red wine vinegar. Perhaps maybe even add in so sugar or honey? Hi Jessica, can you tell me what the quantities of vinegar & water are to slice & bottle the cooked beetroot. Hi Yvonne- To make pickled beets, after cooking give this method a try: 1 cup vinegar of choice, 1 1/2 teaspoon kosher salt, 1/2 cup sugar, and 1 cup water, boil and then pour over the beets. Make more as needed. Allow to cool, then cover and refrigerate for up to 7 days. Hi Jessica, this will be my first time in cooking beetroot. Can you advise how to store them after cooking? Do I use the liquid that they were cooked in? Hi Maxine- I recommend storing the cooked beets in a resealable plastic bag or airtight container with a lid. No need to store in the liquid. I’m the only one in my home that likes beets, actually, I love them!! No matter how I prepare them, I am the only one that eats them, which is fine with me!! lol!! Thank you for these easy prep ideas!! How long will the cooked beets store in the refrigerator? I plan on making a beet salad for a large family holiday dinner and want to do as much prep ahead as is possible. You can store the cooked beets for about 5 days in an airtight container.